The T'it'q'et Community Hall is designed to support the community's hosting role. The main Gathering space will accommodate 500 people for pow wows. 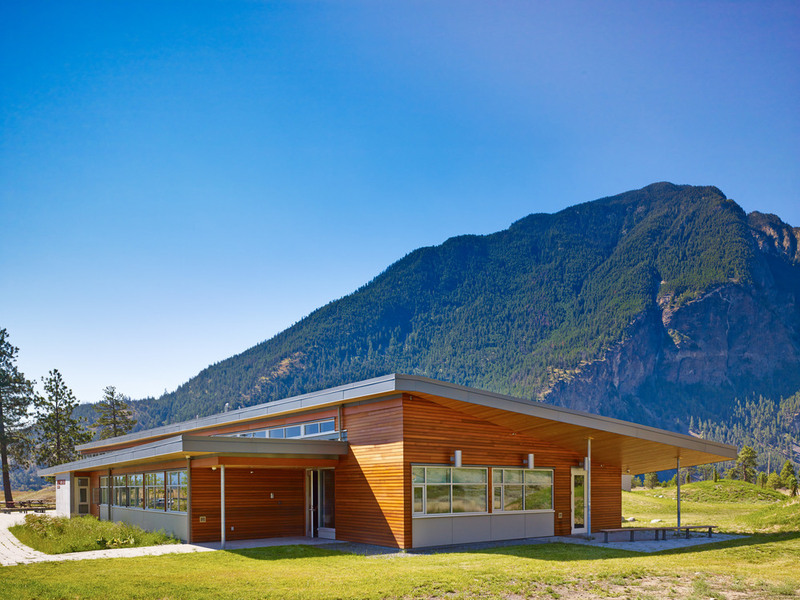 Inspired by First Nations traditional building wisdom, the main spaces are sunk into the earth to maximize thermal resistance to the extreme climate. The building is ventilated entirely passively by capturing the high level of wind on site using a displacement ventilation system. These passive strategies will greatly reduce building’s energy load. 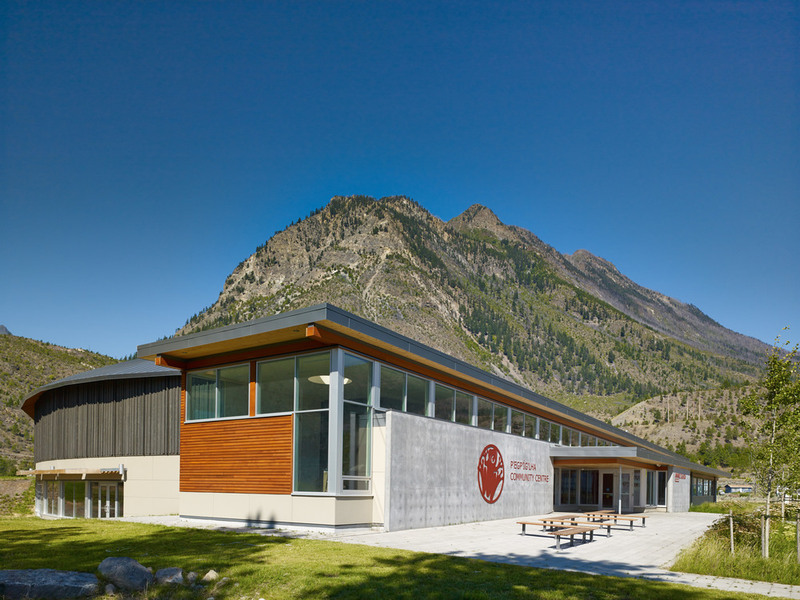 The Health Centre is designed to capitalize on the synergy of integration with the Community Hall, maximizing exposure to health education and recreation opportunities.